Over Christmas I made the mistake of giving T one of my lush! 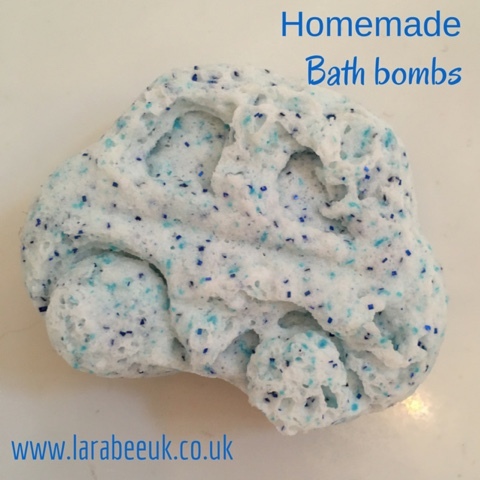 Bath bombs, he loved it, he's had bath bombs before but he loved how much fizzied they were and the vibrant colours. 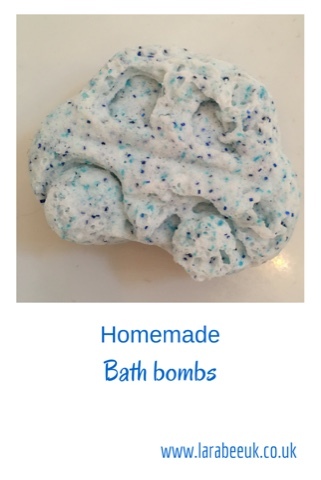 I've been wanting to make bath bombs for ages and I don't plan on feeding a 4year olds 5 bath bomb a week habit buying them from lush! So I set about making some. 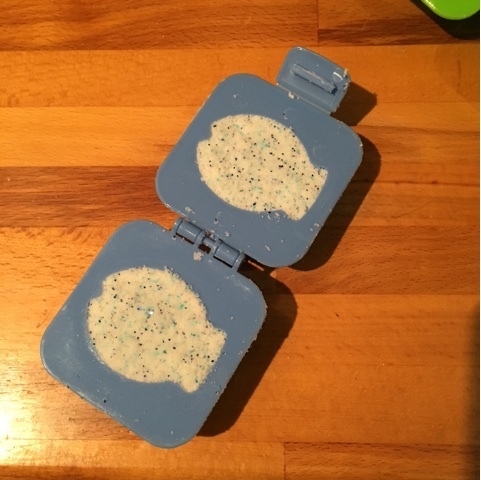 I used this diy from beautybaronline which worked well, but the colour did not mix well this way and they were a little too greasy in my opinion. 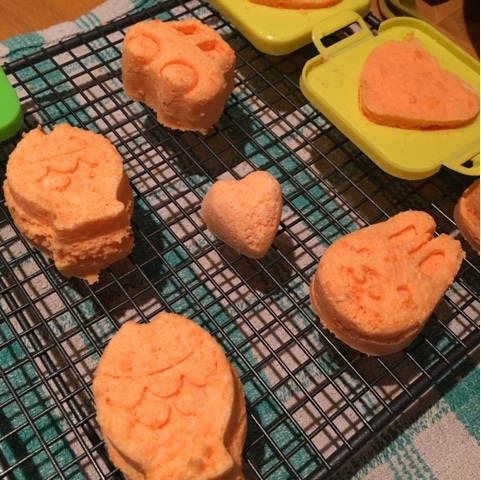 For my second batch I was much happier with the results which I'm using for this tutorial. I also found that the colour didn't mix following this recipe and so I adapted that with much better results. I actually couldn't find citric acid in any pharmacies so I ordered online, there are lots of uk suppliers where you can but it reasonably with decent delivery. 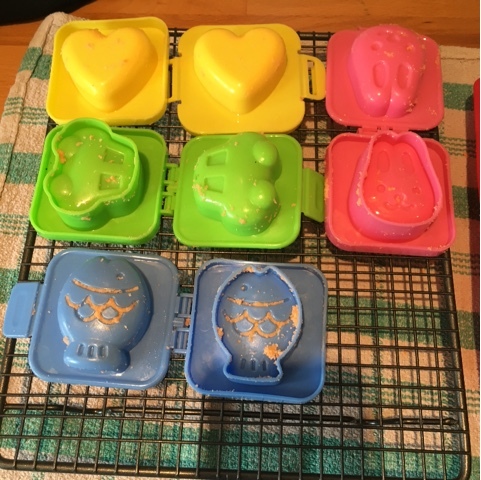 For moulds, I used egg moulds we've had lying around for a couple of years barely used. They worked out perfect, especially as these are predominantly for T.
1. First sift the dry ingredients (citric acid/bicarbonate of soda/cornflour/glitter) together into a bowl and mix. 2. 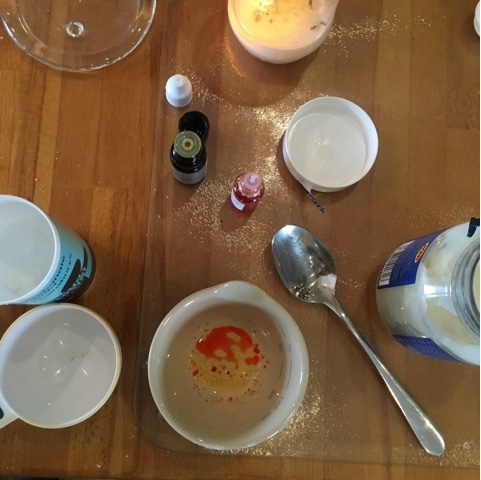 Mix together the wet ingredients (coconut oil/food colouring/essential oil) in another bowl. 3. Very gradually add the wet ingredients to the dry and mix as you would to make crumble to for. 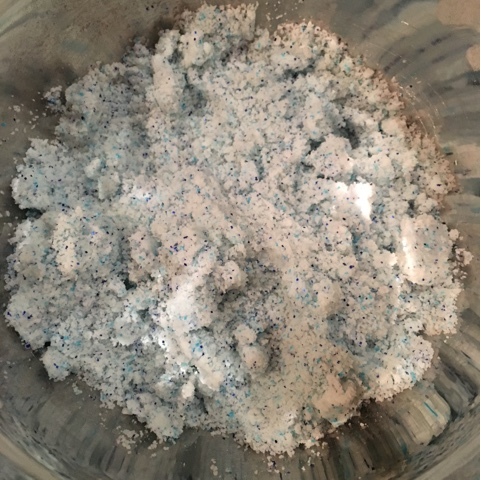 A sandy texture, if the mix is too dry spray a little water in, don't use too much though, otherwise it will activate the citric acid too much. NOTE: in this batch I added colour to the dry ingredients as per the tutorial mentioned above, this didn't work at all for me and I had much better results adding the colour to the wet ingredients. 4. Pack the mixture tight into the moulds. I found pressing in with my fingers worked just fine. 5. Leave the bombs to dry out a little, then turn them upside down on a wire rack. 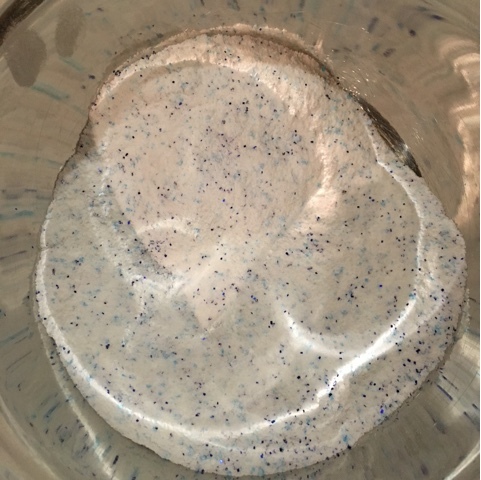 Leave for 24 hours, the mixture should slight expand as the chemical reaction happens and they will then be easier to remove, if they won't come out, pop on a radiator for a couple of minutes and as the coconut oil melts they come straight out.